Set the Pod on the podium with all of it's jacks facing you. If your classroom only has a VGA input cable, you'll need to connect the HDMI-to-VGA adapter, and also connect the Solstice's USB port to the power port on the adapter. Basically, attach all cables to the ports they fit. 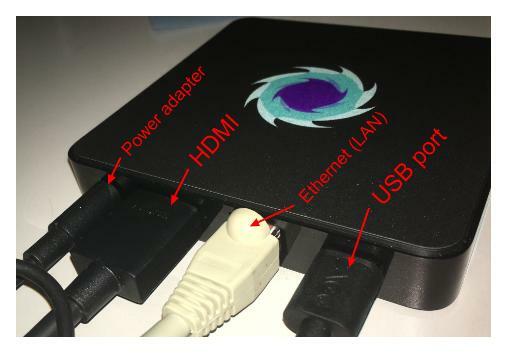 Attach the LAN cable to the Ethernet port, attach the HDMI cable to the HDMI port, and finally, plug the power cable in, and connect it to the Solstice Pod's power port. 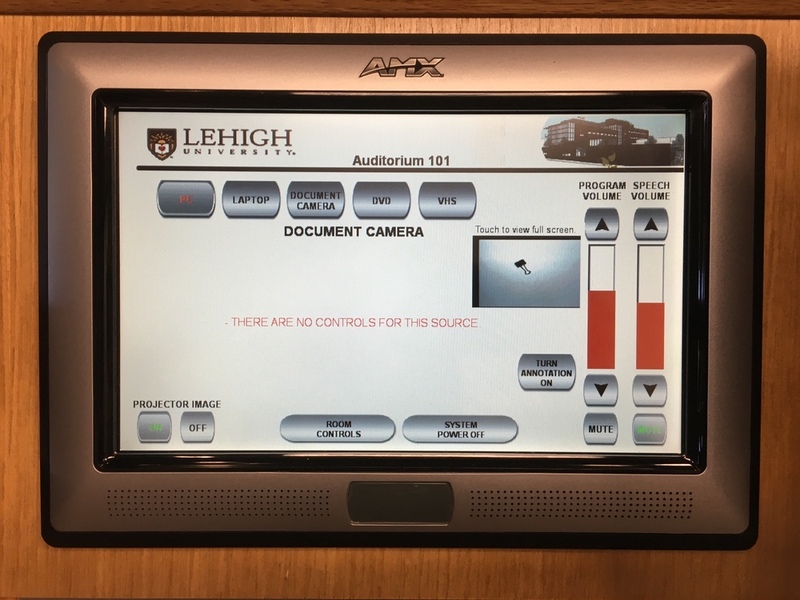 Select the correct Input on the room's touch panel control, either 'Laptop' or 'HDMI', depending on where the unit's plugged in.